Saeed and four other JuD leaders were put under house arrest after order of detention was issued by Punjab Province's Interior Ministry on Monday in pursuance to a directive from the Federal Interior Ministry on January 27. 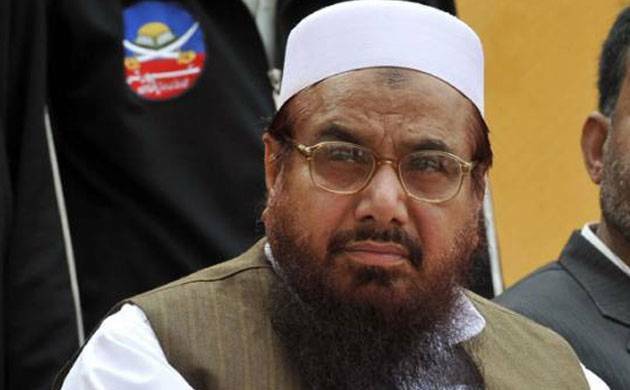 In an unusual move, Pakistan's army on Tuesday said the detention of the Mumbai attack mastermind Hafiz Saeed was a "policy decision in the national interest" as the government announced that the Jamat-ud Dawa leader's 90-day house arrest could be extended if required. "The detention is a policy decision taken in the national interest. The relevant department may give more information in a day or two and the situation will become clearer," Military spokesman Major General Asif Ghafoor told reporters. His aides Abdullah Ubaid, Zafar Iqbal, Abdur Rehman Abid and Qazi Kashif Niaz - were detained and placed under house arrest in Chauburji near JuD's Lahore headquarters. "Although they belong to different districts of Punjab but the government has decided to place them under arrest in one house in Lahore," a senior police officer told PTI. "The government has detained Saeed and four other JuD and Falaha-i-Insanyat (FIF) leaders for 90 days with effect from January 30 but this detention may further be extended on completion of this period if required," an interior ministry official told PTI. "The government may take some further steps against the JuD and its sister organisations in coming days," he said, adding that the names of several JuD and FIF activists have been placed on Exit Control List to stop them from leaving the country. Maj Gen Ghafoor said Pakistan wants peace with India and resolution of all issues including Kashmir through talks held on the basis of self-respect and honour, but it should not be considered as weakness. "We want the Kashmir issue to be resolve via United Nations resolutions and dialogue, but this desire for peace should not be misconstrued as a weakness," he said. After the Punjab Home Department declared Saeed's Jauhar Town Lahore residence as sub-jail, the JuD chief was shifted there from its headquarters Al-Qadsia Chauburji on Tuesday. First Saeed was allowed by police to hold a press conference before he left for his home along with dozens of his supporters amid high police security. "My detention order has come from Washington and not Islamabad. If someone thinks that after placing me under house arrest will help check freedom movement in Kashmir he is living a fool's paradise. My arrest will give a fresh impetus to the Kashmiris' struggle against India," Saeed, the founder of Lashkar-e-Taiba who carries a USD 10 million bounty on his head, told reporters. Saeed further said if Prime Minister Narendra Modi thinks that he would get respite in Kashmir after his (Saeed) arrest he is seriously mistaken. "We have declared 2017 a year of solidarity for Kashmiris. All programmes we planned for Feb 5 will be held across Pakistan and (Pakistan-occupied) Kashmir," he said, and vowed to challenge his detention in the Lahore High Court.